One of the things that I never seem to have enough of is cutting boards. Aside from every day use, I use them all the time for photoshoot styling and parties. 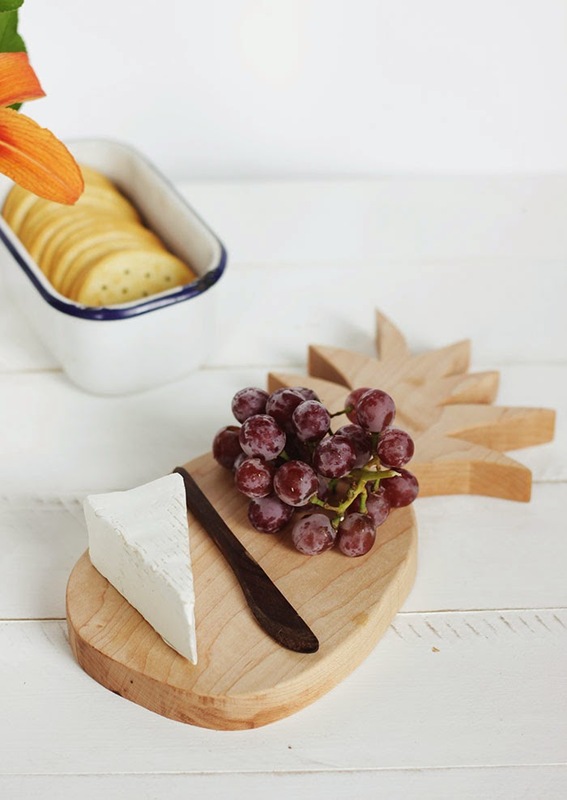 They're really easy to make at home and it's nice to have a variety of sizes and shapes. 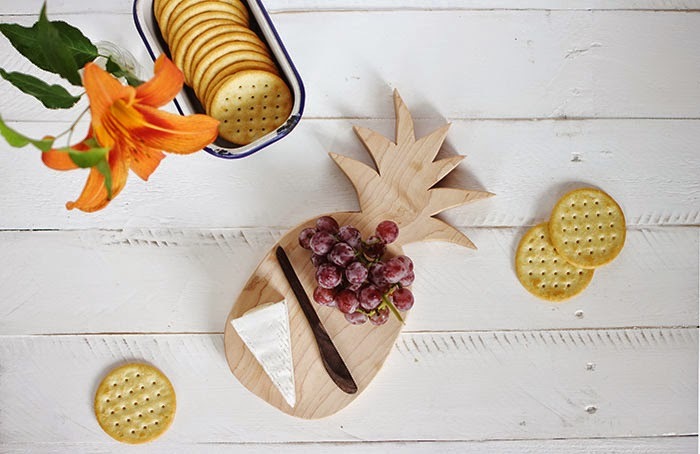 Since pineapple patterns seem to be popping up all over the internet in shops and blogs, I thought a pineapple cutting board would be the perfect addition to my collection! -Trace pineapple onto the wood. 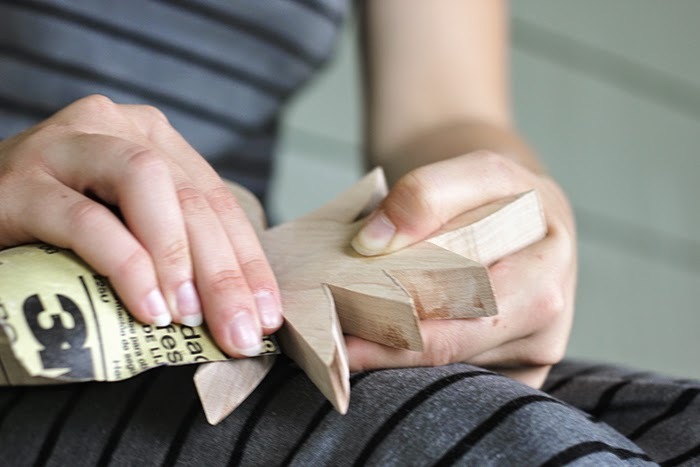 -Cut out the shape using a scroll saw. If you don't cut right along the line in some spots, you can touch it up with the belt sander in the next step. 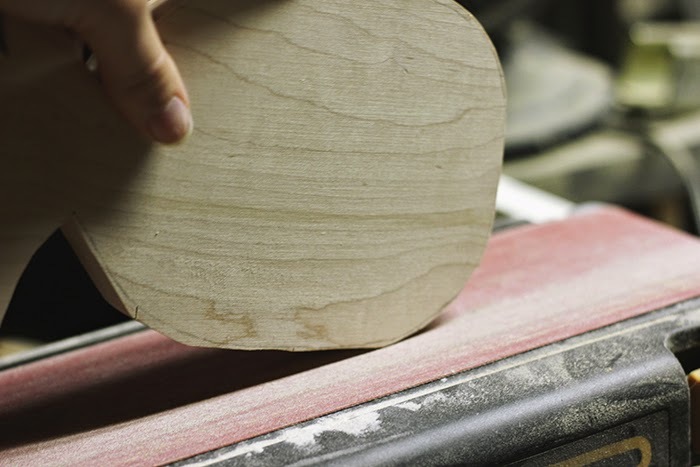 -Use a belt sander to smooth out the sides. I used a regular size sander for the bottom part and a 1" belt sander for the top. 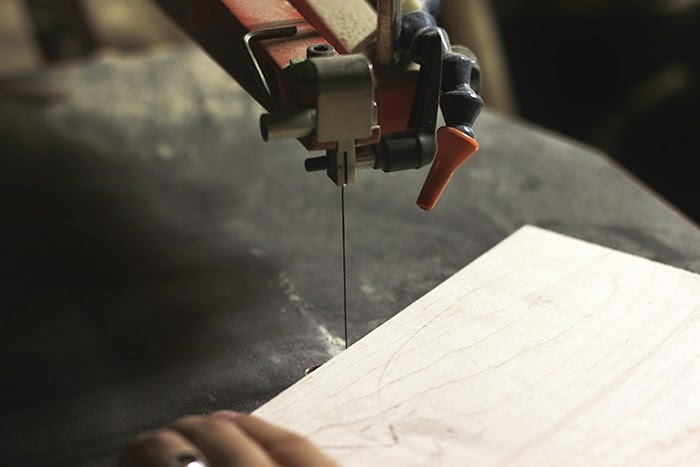 -Use a piece of sand paper to round the edges of the board. -Wipe off the board and then apply butcher block oil or conditioner according to directions. LOVE THIS! 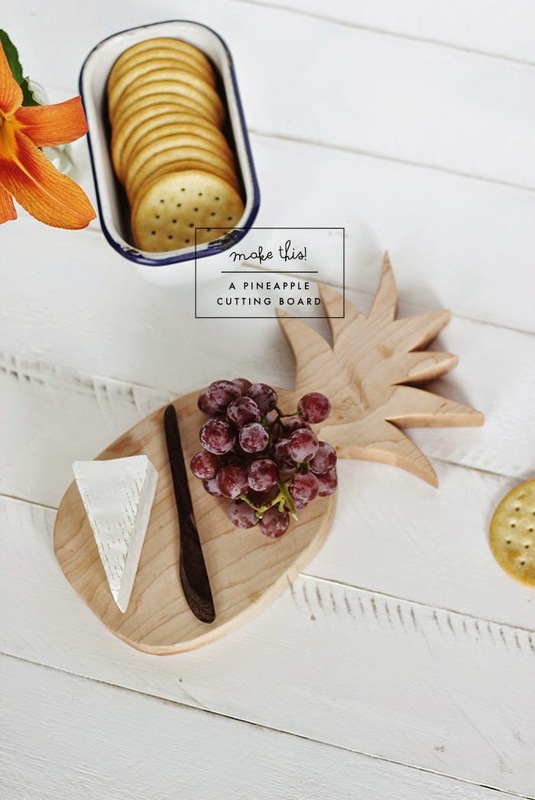 I'm totally into the pineapple trend and this cutting board is amazing. Thanks for sharing! What a great DIY! Thanks for sharing. 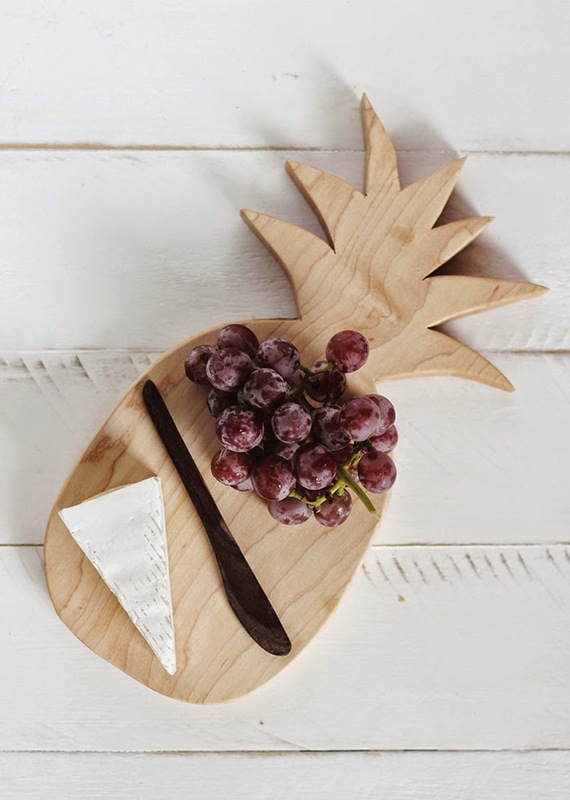 Adding this to my "Pineaple" board ;) lovely work! i can use an old one, and change the form...thanks for the idea!! Where did you get the piece of maple? Beautiful wood!